Air condition or air con systems provide greater comfort in homes by removing heat and reducing the temperature in hot or muggy climates. The air conditioning system is designed specifically to alter the room’s temperature and humidity. This is performed by a refrigeration cycle and can cool as well as heat, depending on the requirements. There are also other types of air condition systems, such as the car air conditioning system. With air conditioning controls you can set a room’s temperature to whatever you desire, allowing the perfect indoor climate. This is great during the summer, especially on those hot nights where sleeping can be extremely uncomfortable. As well as reducing the temperature, air conditioning units are able to reduce the humidity levels too. And these systems can reduce the humidity without overly cooling the room. 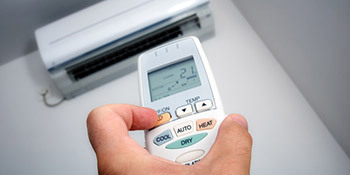 Compared to fans, air conditioning systems work silently, creating a comfortable temperature with little noise. This allows you to sleep peacefully on hot nights. With air condition systems you won’t have to keep the windows and doors open during the day, which will only add to your home’s security, especially at night. With the windows firmly shut you can enjoy peace of mind. With the heating capabilities of air conditioning systems, you can consume up to 80% less power than any other form of heating. Air con units are highly efficient, so there’s a big opportunity to make energy savings. If you’re interested in controlling your home’s temperature and reducing the humidity of rooms all year round, just complete our quick form. We’ll then match your specifications with up to four vetted contractors on our books, so you can start making your home cooler with an air conditioning system, as and when it’s needed. Project: Customer visited the myairconprices.co.uk site and submitted an enquiry. Property type: Semi detached, Service required: Install/Replace, Room number: 1, Work description: I need new air condition. No quote, company to far away from my address, I wanted a local fitter. Ok but not the best price. Good to find someone who can find professionals to give quotes for general work, whatever your need. Quotatis did exactly what was asked and sent me details of companies so that I could decide. Very good service. Properties are given an energy rating based on how efficient they are and ratings are shown in the data below. This ranges from A, by far the most energy efficient, to G, the least efficient. With a higher rating you're more likely to have less costly energy bills as more heat is going to be retained in the home. You are able to enhance your home's efficiency with insulation including upvc double glazing, loft lagging or wall cavity insulation. The information below reveals the various types of houses in Uk. The most commonplace homes throughout the UK are detached and semi-detached households. Other types of properties consist of terraced houses, flats, converted flats and bungalows. The data underneath provides an indication for the number of homes in Uk which are central heated and non-central heated. Households are heated by a range of sources which indicate how expensive yearly energy bills will be. Examples of central heating include gas, electricity, oil, solid fuel and LPG boilers. Changing the way in which your home is heated can see you with cheaper bills. The data underneath reveals the spread of houses warmed by various fuels. Throughout the UK the most frequent by far are gas heated properties, followed by electricity and then oil. Biomass boilers are also rising in popularity, heated by eco-friendly products like wooden pellets or agricultural waste.|Properties in the UK are heated up by a variety of fuels, such as gas, electricity, oil, solid fuel and LPG boilers. Each fuel has a varying cost associated with it and that means you might find yourself with cheaper energy bills by altering how your home is heated. Even solar thermal panels are being regarded as by many as a way to reduce heating bills for the many years to come.